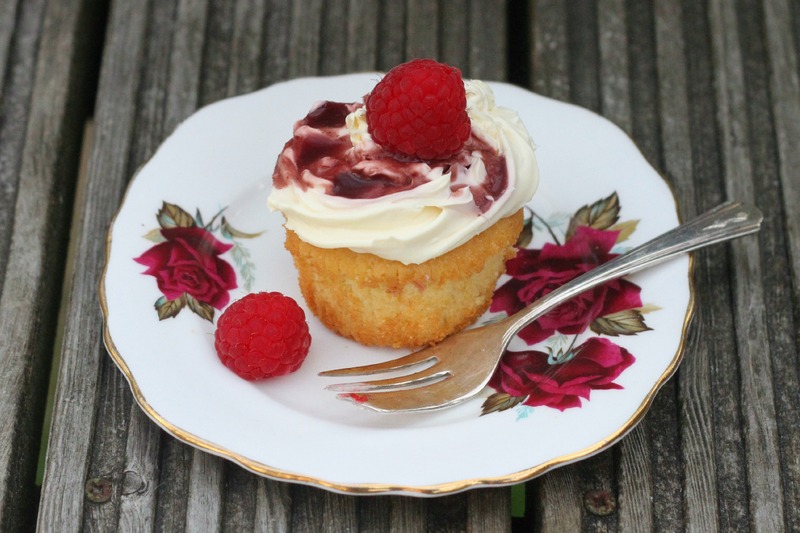 Still, last week while the sun was shining and the temperature was bordering on a heat wave, I decided to make some tangy lemon cupcakes with a raspberry ripple fresh cream topping. 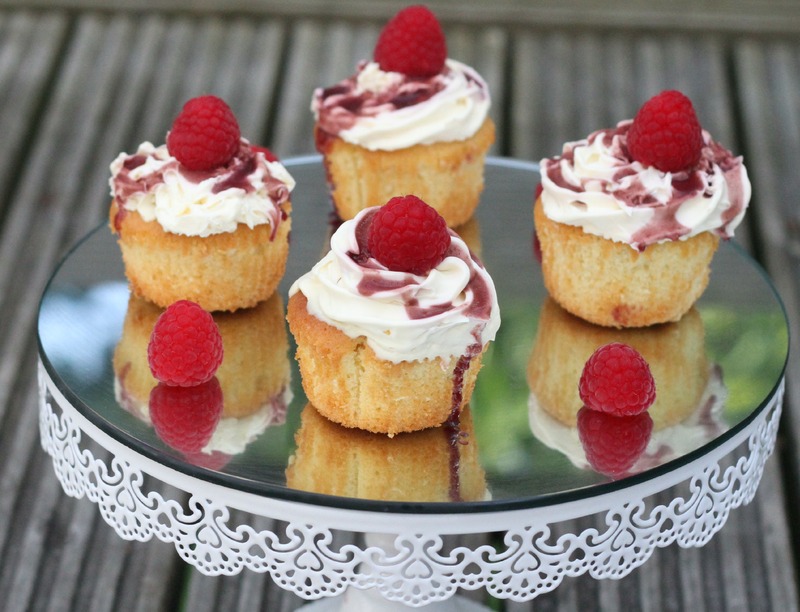 Now normally I would whisk up my double cream using an electric whisk, but I was recently sent a Mini Kitchen Cream Whipper to review, so I decorated my cupcakes using my whipper. I have never used one before, and whenever I wanted to add whipped cream to my hot chocolate deluxes I would use Anchor aerosol cream. However, now with my whipper I do not need to buy my cream in a can ever again! I have to admit it did take a few attempts to perfect my whipper, but once I worked it out, my cream came out perfect, and I was a little excited about it I can tell you! 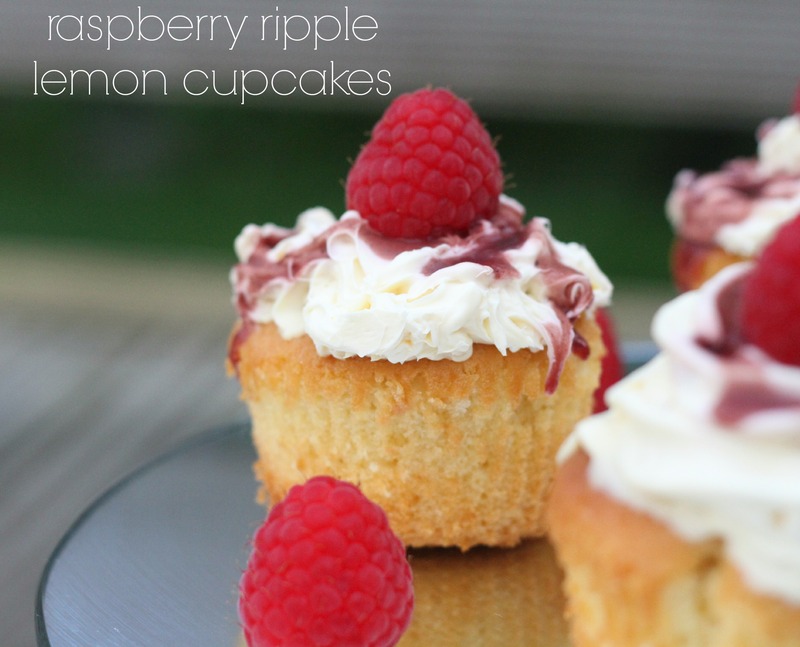 the topping is purely whipped double cream which you can whisk yourself and add some vanilla essence to flavour it. You need to whisk until the cream is thick but not so thick it goes solid. keep in the fridge until ready to serve (and to store afterwards if you have any left!). 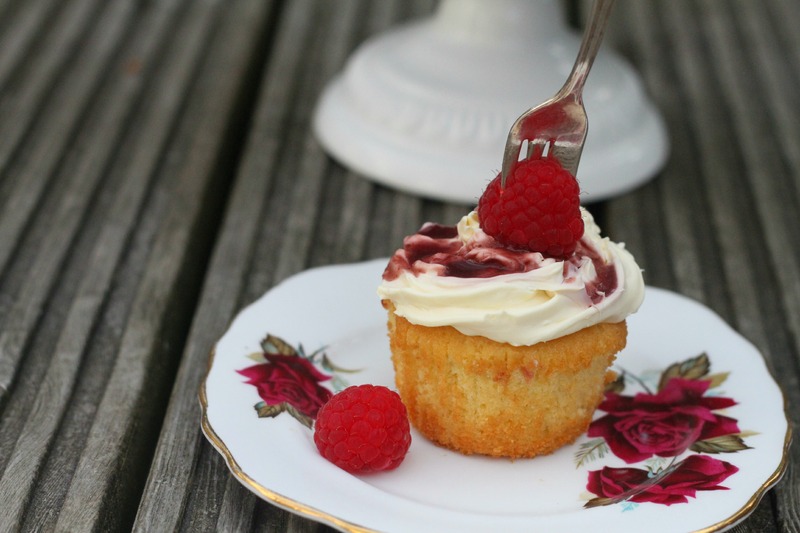 It is important to add the cream on the same day as you are going to eat the cupcakes. 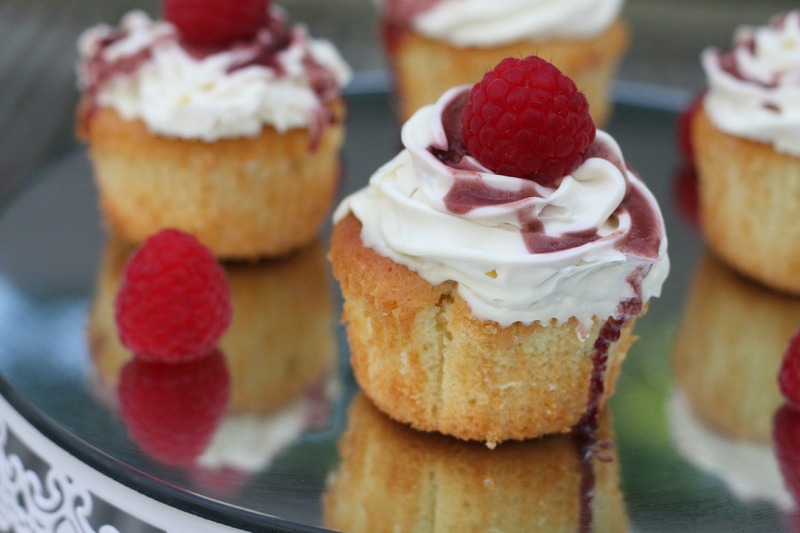 These little summery cupcakes were just scrumptious, I mean what is not to like about zesty and tangy lemony cupcakes, topped with a vanilla cream with sharp raspberry sauce and a fresh raspberry to top it of? Nothing – there is everythign to like!!! These were snapped up so quickly at playgroup – in fact I did not make enough!!! 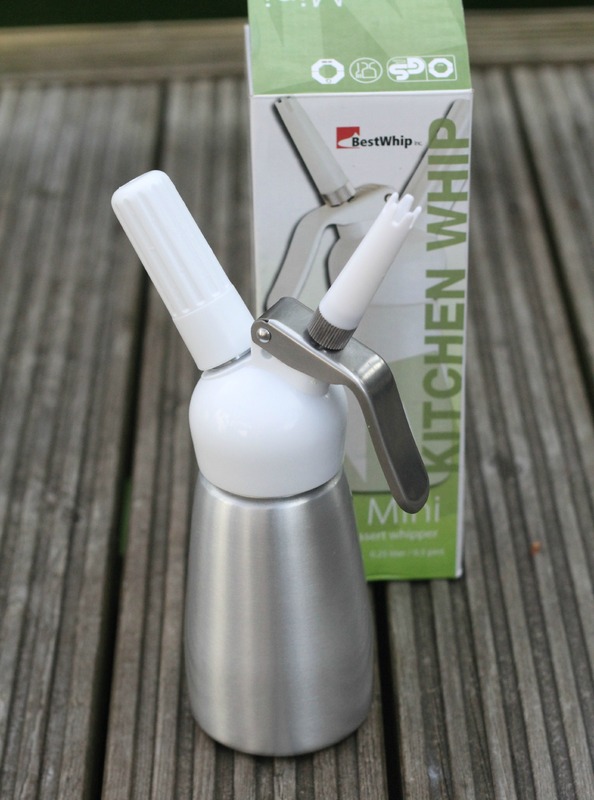 I was sent a Mini Kitchen Whip for the purpose of a review. Oh these look yum. But then your cakes always look so good! Do I dare attempt this? It looks so moorish. Maybe I’ll make it for friends so I don’t scuff the whole lot. Great recipe!